We offer an engineered range of CNC Cutting Machines that is useful in cutting various kinds of material objects in several engineering industries. 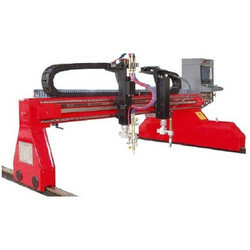 We manufacture these CNC Cutting Machines using high quality of machineries and are widely demanded due to dimensional accuracy, durability and toughness. 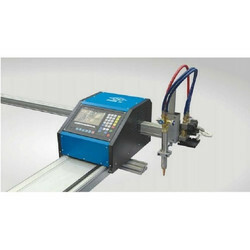 These CNC Cutting Machines are provided as per the International Standards. We provide the best quality of CNC Plasma Cutting Machine of any size as per your requirement with Hypertherm Plasma Source, most advanced software with 100% service support. We have our service team spread all over India for effective and fast support. Our Techno pricing policy can provide the qualitative and competitive CNC cutting machine as per your requirement. 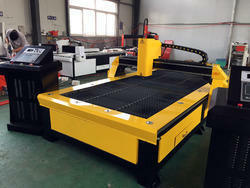 We are a leading company engaged in offering a vast range of SAI Inverter CNC Plasma Cutting Machine. Our offered range is manufactured using quality-approved factor inputs that are sourced from the most reliable vendors of the concerned domain. These easy to operate machines, give consistent performance and are notable for the fine finish they impart to the cut metal sheet. Mainly used to cutting carbon steel, alloy steel, stainless steel, cast iron, aluminum, copper etc. 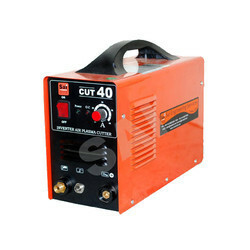 SAI Arc India Pvt Ltd., provide best quality and cost effective Portable CNC Gas Cutting Machine with Torch Height Control with 100 % service support anywhere in India. Looking for CNC Cutting Machines ?